All, except number nine, are early cannon. 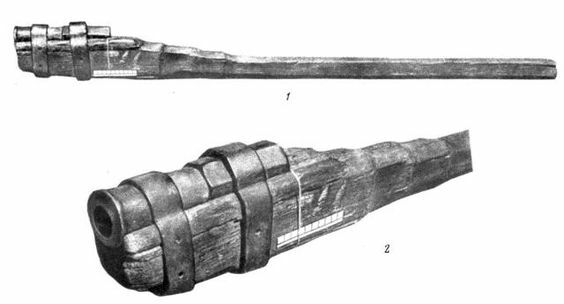 Number six is the Loshult Gun, found in Southern Sweden, and dates from the fourteenth century. Number seven was found in the sea off Morko and also dates from the fourteenth century. 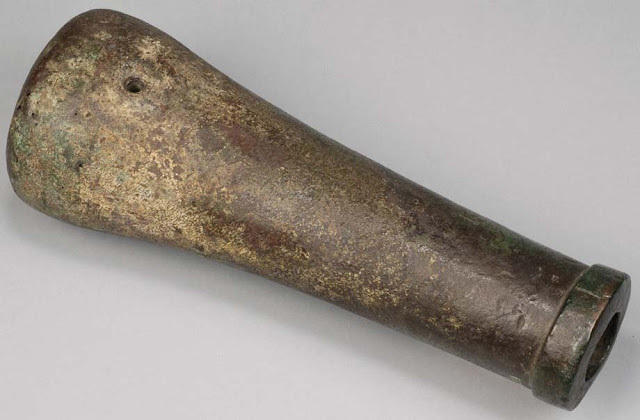 nUMBERS ONE AND TWO ARE OF WRAUGHT IRON AND PROBABLY DATE FROM THE EARLY FITEENTH CENTRUY. 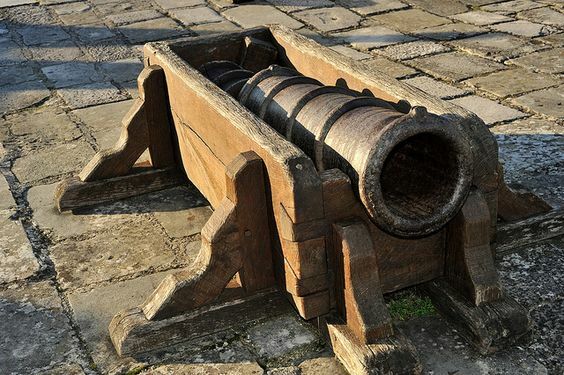 Yep, 1. is a bombard at the Chateau de Loches and 2. is a culverin at the same location. 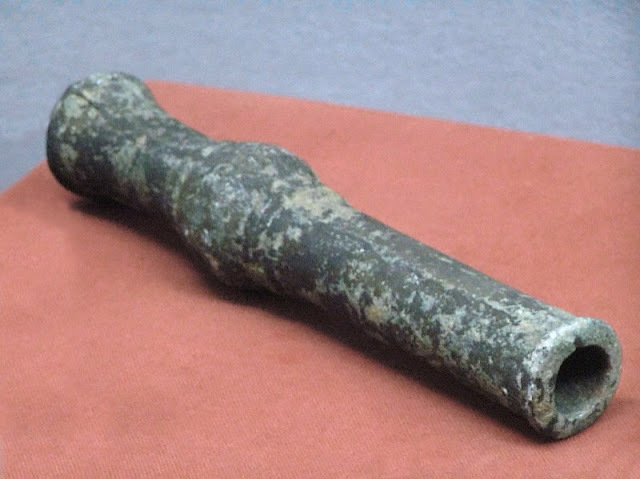 6. as you say is the Loshult gun (1340-1350) at Statens Historika Museet, Stockholm and 7. is the Morko handgonne of similar date and location. I'm sorry for the poor focus of 9. the original image looked much sharper, you describe it perfectly. 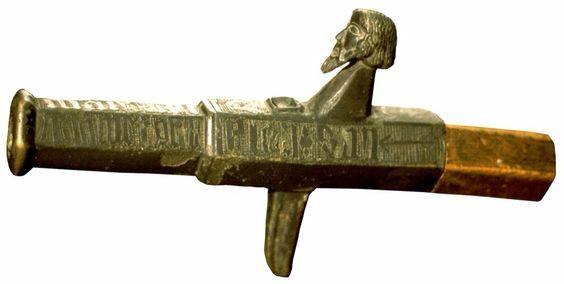 p.S.Nine is a Japanese netsuke containing a small snaphaunce tinder lighter, probably dating from the eighteenth/early nineteenth century. 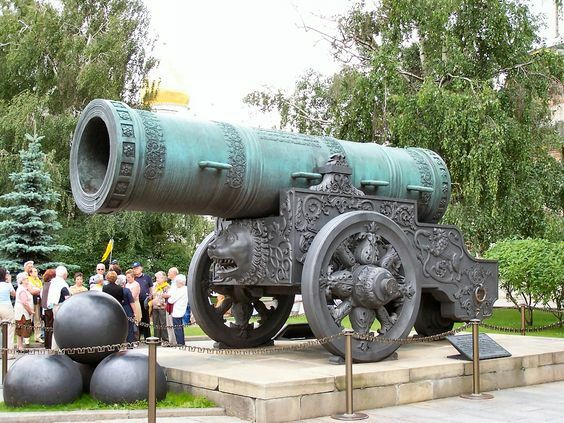 8. is the 'Tsar' a 5.94 metres (19.5 ft) long cannon on display on the grounds of the Moscow Kremlin. It was cast in 1586 in Moscow, by the Russian master bronze founder Andrey Chokhov. Mostly of symbolic impact, it was never used in a war. However the cannon bears traces of at least one firing. 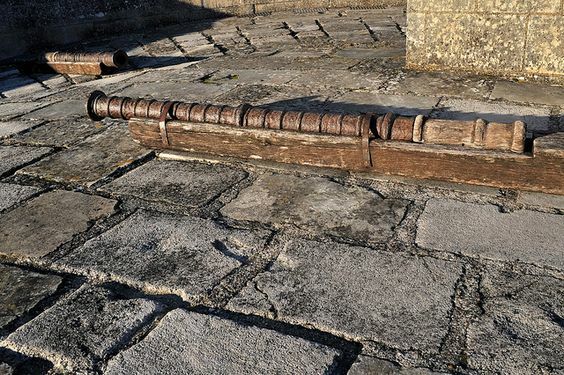 The Guinness Book of Records states that it is the largest bombard by caliber in the world.